After starting his career in construction as a bricklayer, Jake moved to single ply roofing in 2009 working for a local contractor. 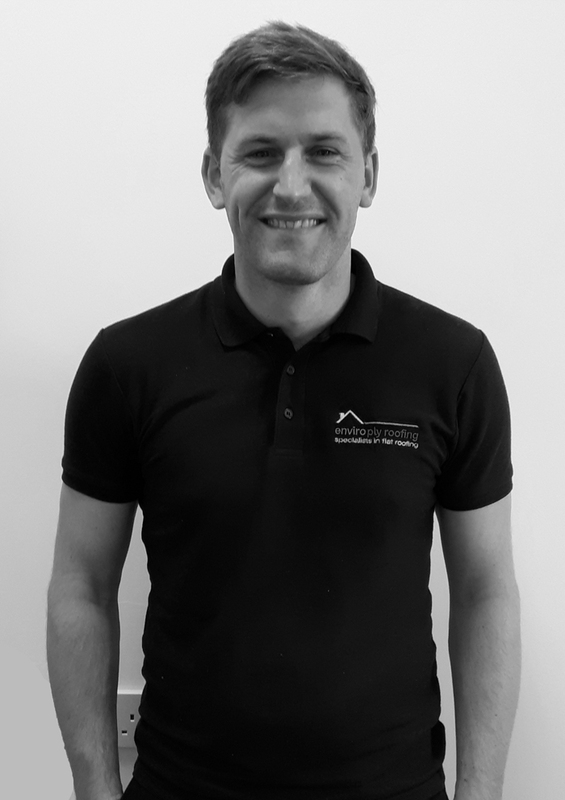 Here he honed his skills over 5 years becoming a senior installer before taking the decision to set up his own business, Enviroply Roofing Ltd, in 2013. For the first 2 years Jake continued working ‘on the tools’ to build up the business’ standards, reputation and reserves. 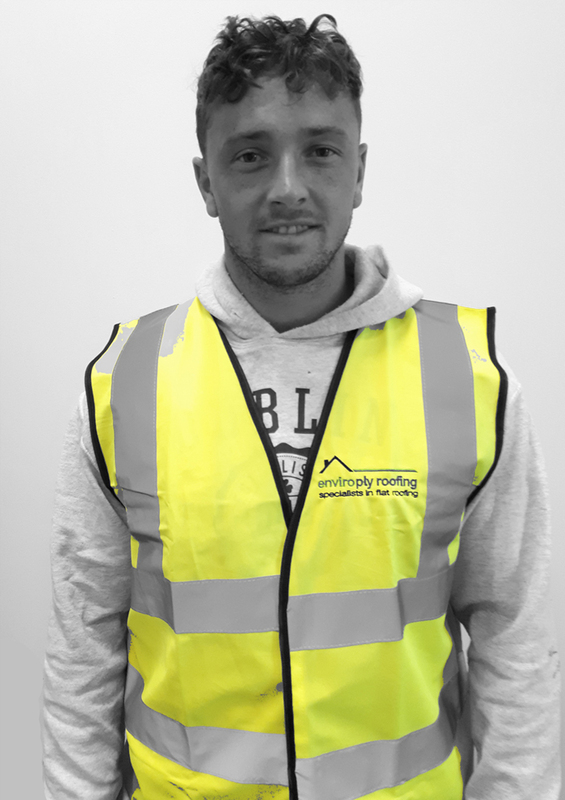 Enviroply Roofing Ltd now employs a team 6 who all share Jake’s dedication to quality. Jake strives to continually improve the service provided by Enviroply Roofing and builds sustainable relationships with customers and suppliers enabling Enviroply Roofing to deliver the best solution for every project. Through this approach he has been able to offer value engineering options saving our customers thousands of pounds while still achieving stated requirements. 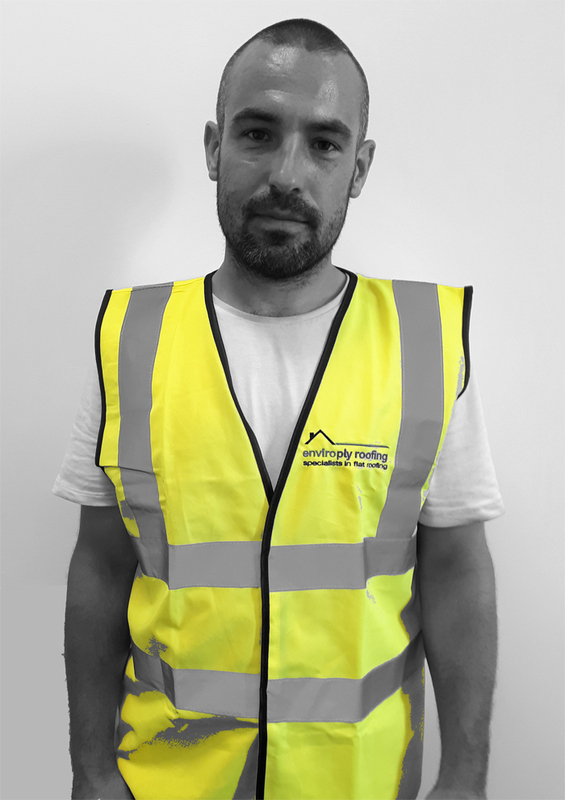 Nathan joined Enviroply at the start of 2017 as a Senior Foreman and came with over 10 years’ experience working in the flat roofing industry. He is qualified to NVQ level 2 and is a highly skilled installer of several singly ply roofing systems. His workmanship is of an exemplary standard which has been noted during manufacturer field inspections on many occasions. Nathan is a CSCS card holder and trained First Aider. In addition he has attended various other industry relevant training courses to support his on the job skills and ongoing career development. Colin is the newest member of team having joined Enviroply in the early part of 2018. He brought with him a wealth of experience gained both in the UK and the Southern hemisphere, having worked as a single ply flat roofing installer for 13 years. Qualified to NVQ level 2, CSCS card holder and with a range of other training under his belt, Colin is a qualified and highly experienced installer of various systems. His standards and approach to his work are first class and his installations have received praise from both manufacturers and clients alike. Gaynor began her working life at The Royal Bank of Scotland where, for over 20 years, she developed a successful career. She held many varied roles gaining skills in Customer Service, Team Leadership, Project Management, Continuous Improvement and more. Since 2009 after taking voluntary redundancy she has used her skills working in small businesses as part of accounts, administration and general office management functions. 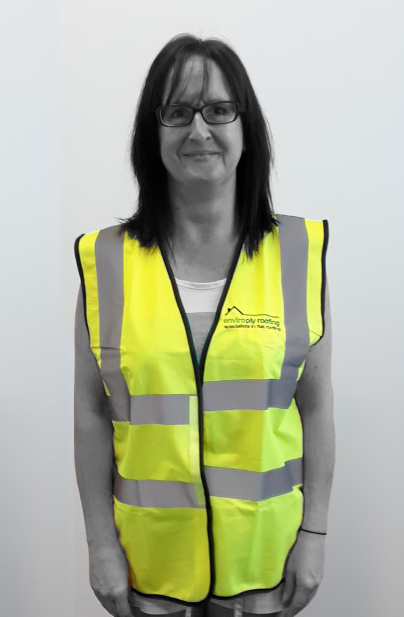 Now at Enviroply, Gaynor’s role is to oversee the smooth running of the office; looking after the accounts, customer service and general administration processes. Gaynor shares Jake’s dedication to customer service and continuous improvement and together they are working hard to ensure that every customer receives the same consistently great experience when working with Enviroply Roofing.